On 3 May, the Royal Institution played host to an informative and diverse discussion on the topic of plastic pollution at a how to: Academy event moderated by The New York Times and sponsored by Rathbones. To demonstrate the magnitude of the problem, oceans advocate Emily Penn recounted how she witnessed large-scale plastic pollution during an expedition to the Pacific in an area so remote, the closest point of human contact was the International Space Station passing overhead. While not visible as ‘islands’ of plastic debris, millions of microplastic particles polluted the water - largely indistinguishable from plankton. Evidencing the infiltration of plastic into the human food chain, Emily revealed the results of a blood test indicating traces of no less than 29 plastic-related chemicals in her system. Echoing a common theme amongst speakers, Emily argued that generating such a durable product for a single use is a nonsensical mismatch of technology and utility. Recycling is important, but the first step to addressing plastic pollution is to turn off the source. Times columnist Alice Thomson itemised some quick and simple ways individuals could cut their use of plastics by 25% - the proportion of the UK’s plastics waste currently exported to China. While many of these reduction tips focused on single-use items or advocated the consumption of reusable or unpackaged products, a surprising inclusion concerned our use and disposal of tea bags which contain a thin plastic seal and are therefore not as biodegradable as we might think. Individual action to change consumer habits has genuine resonance: the only sustainable way to combat waste is to produce less of it. 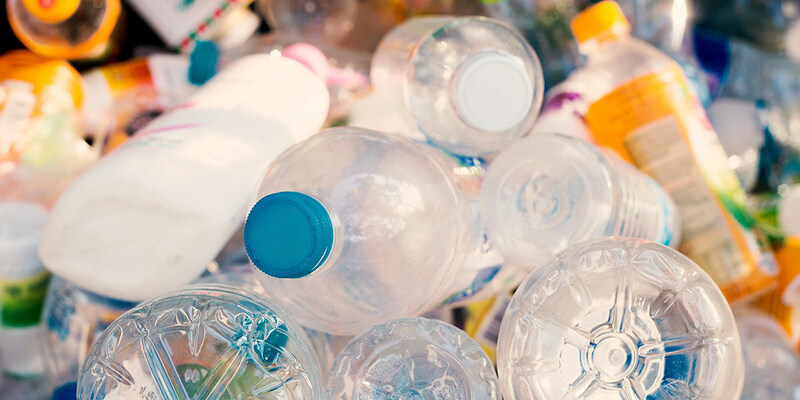 Alannah Weston of the Selfridges Group asserted that the problem of plastic waste for businesses was quickly outweighing the product’s utility, and identified several actions businesses could take to achieve their sustainability targets. Chief amongst these was the need to go beyond compliance and to nurture an appetite for doing the right thing. Selfridges’ removal of single-use drinks bottles through their Project Ocean initiative and their commitment to the Zoological Society of London’s ‘one less bottle’ campaign is evidence of the company’s own evolving business culture. Katrina Dodd of Contagious Communications reinforced the notion that brands and businesses are key generators of sustainable change: what is good for society is good for business too. She highlighted the efforts of the Patagonia clothing company to reformulate their brands along environmental lines and the collaborative work between Adidas and Parley for the Oceans to transform ocean plastics into sportswear. In addition, Finland’s Bank of Åland were praised for introducing a bio-plastic credit card that enables customers to calculate the environmental impact of their spending. Cosmetics retailer Lush was also acknowledged for its long-term commitment to low-impact packaging and encouraging customers to recycle. Writer and broadcaster Lucy Siegle suggested that footage of ocean plastic from the BBC’s Blue Planet series had increased public awareness of marine pollution and the extent to which our environment is continually degrading. She equated the supermarket economy to a “plastic ecology”, highlighting the absurdity of a shrink-wrapped coconut, and advised a public re-evaluation of recycling efforts and perceptions. We rely too heavily on the ‘recycle’ part of the traditional mantra of ‘reduce, reuse, recycle’ and have grown complacent about ‘reduce’. Richard Walker of Iceland Foods Ltd outlined the supermarket’s campaign to remove plastic packaging from its product lines by 2023. Iceland is already on track to remove 2,000 tonnes of plastic waste by the end of 2018 and forecast that to increase to 16,000 tonnes by 2023. Iceland is urging industry collaboration to develop alternatives to plastic and hope its commitment will generate wider environmental progress within the retail sector. Will McCallum of Greenpeace noted that recent studies of the uninhabited waters around Antarctica indicated the presence of plastics. Hugo Tagholm of Surfers Against Sewage argued plastic is a visible unifier for activists and a clear indication of a failing linear economic model. Justin Wateridge of Steppes Travel reinforced this by observing that unlike climate change, nobody denied the environmental impact of plastic pollution. Advocating a more concerted push towards a circular economy, Clare Brass of Department 22 maintained that the problem wasn’t plastic itself but our current use of it: that waste is simply “a resource in the wrong place”. Recovery is central to continuous use, particularly as current recycling methods only accommodate ‘pure’ base products. A growing number of alternatives to petrochemical-derived plastics are also available. For example, corn starch or shrimp shells can both be used as alternative feedstocks for polymer production. Innovators too had their say: Stefaan De Wildeman of B4Plastics exhibited a drinking straw that would biodegrade entirely within six months while Martin Myerscough of Frugalpac explained how a removable plastic coating on his disposable coffee cup design could help improve recycling rates. Carlos Monreal of Plastic Energy highlighted the benefits of chemical recycling (which isn’t reliant on a pure base product), suggesting it could help address the fact that less than 2% of global plastic usage is targeted for recycling. The speakers at the how to: Academy shone a spotlight on the severity and immediacy of the threats posed by plastic waste to our environment and health. But they also provided inspiration for the actions that individuals, companies and society can take to help reduce this impact. At Rathbone Greenbank, we are also committed to bringing about positive change in business practice through sustainable investment and engagement. You can read more about how our dialogue and engagement with companies has delivered positive improvements in business practice in our Greenbank Review.